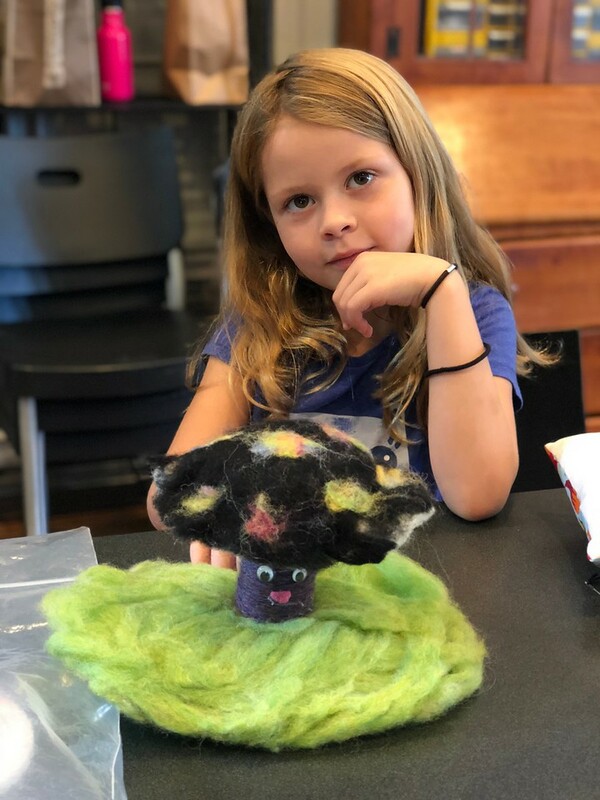 Learn about Wet Felting and How to Try Out This Awesome Craft Yourself This Summer! Good morning crafters! Do you remember when we learned about dry felting last week, a technique used to create felt from wool with a barbed needle? Well this week, as promised, we are going to learn about wet felting. Wet felting can be defined as the process of continually rubbing wool fibers together with mild soap and warm water to form a firm, felted object,” and is often better for beginner felters to learn before they start needle felting because it does not involve any sharp objects. The history of wet felting is closely aligned with the history of needle felting - the tents and yurts made by Nomadic people of Asia are most often wet felted - so let’s jump right into talking about the craft! Wet felting involves creating rectangular fabric made of several layers of wool (not plant or synthetic fibers because those won’t felt well), applying water and mild soap, and sponging or agitating the wool to encourage the fibers to lock together. In dry felting, the wool is agitated with a needle rather than water, but in the end, you will have a tight, sturdy felt fabric no matter which method you use. By the end of the felting process, the wool can shrink down to more than 50% of its original size, one of the reasons that wet felting is a craft more concerned with the feeling and the process of creation rather than the precision of the end result. (A good felting tip is to measure the size of the layers of wool you create before you begin applying water so you can measure just how much the wool tends to shrink). 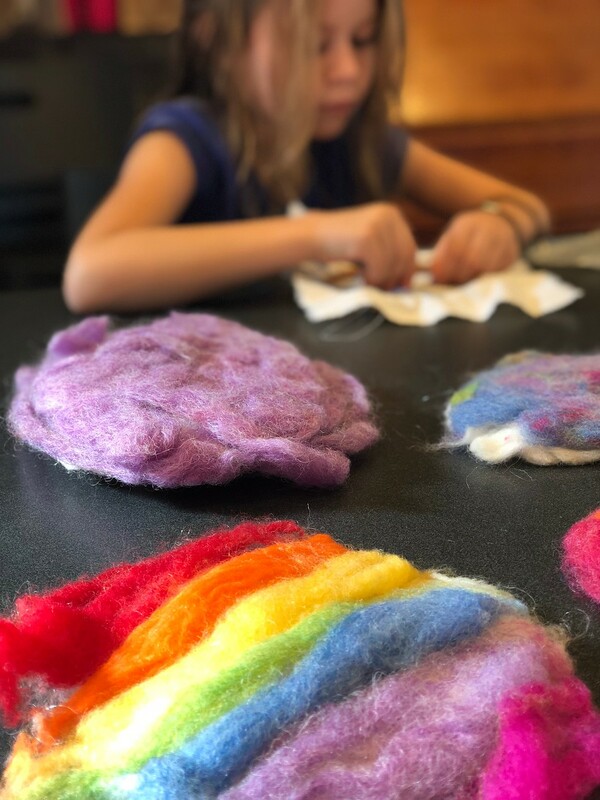 I am no expert at wet felting, but I’m going to attempt to share my knowledge of the process with you so you can test it out with your kids at home! First, the materials. Before you start crafting, you need to make sure you have everything you need to felt: wool, a spray bottle, hot water, mild dish soap, a large sheet of bubble wrap, netting or tulle, and a bamboo mat or a towel. 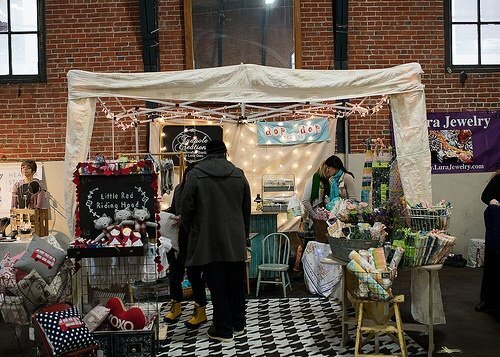 You can also grab some scraps of wool or yarn for decoration if you prefer! Once you gather all your materials, you should lay down the mat or towel on a large, flat surface, like the kitchen table, and then place the bubble wrap, bubble side up, on top. Then, after pulling your wool into strips about half a foot long, you can start to lay them down on the bubble wrap, all facing the same direction. Try to make a layer of wool and fill in all the empty gaps, and when you finish with the first layer, you can start the second! The second layer should have the strips of wool oriented 90 degrees to the first layer, so the second layer of strips crosses over the first. Keep creating layers rotated 90 degrees from the one below them until you have four to six layers of wool, all stacked in a rectangle on top of the bubble wrap and the mat! If you want, you can make some designs on top of your wool with the scraps of colorful wool and yarn you gathered earlier! Once you’re done with the layers, it’s time for the water. Place the netting or tulle on top of your wool, making sure it is all covered, and then fill your spray bottle with the mild liquid soap and warm water and spray it onto the wool. Use enough water so that the wool gets thoroughly wet, but not so much that water starts to spill out from underneath. After the wool is all wet, gently rub it with your hands. In this part of the process you are agitating the wool, an essential step in creating felt. After about ten minutes you want to roll up your mat (or towel) with the bubble wrap and wool inside, making sure that the roll is tight. Slide some rubber bands on the rolled mat or towel to keep it together, and roll the whole thing back and forth across the table for ten or so minutes, then unroll the mat or towel and flip the felt over before rolling it up and rolling it around for ten more minutes. After you’ve rolled both sides, unroll the mat or towel, carefully separate the felt from the bubble wrap and netting, and then gently rinse the soap out in tepid water. Once all the soap is gone, carefully squeeze out the water, and roll out the felt again on the mat to flatten it before leaving it out to dry! Once again, there are many different ways to wet felt and dozens of tutorials to follow, but I hope my tips and tricks helped. If you want to try a slightly different, simpler kind of wet felting, check out The Handwork Studio’s YouTube tutorial on how to get started! If you already have some understanding of how to felt and are looking for inspiration for new projects, take a look at this amazing list of wet felting projects or this slideshow of great felt creations to try! 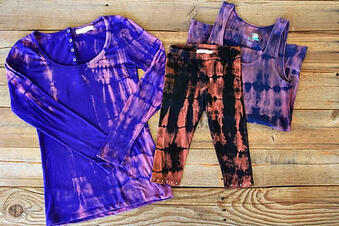 We hope that this blog post convinces you to get out there and try wet felting today. 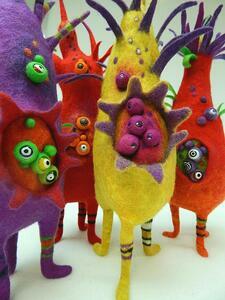 Incredible felt artists like these inspire me to try this craft one day, and I hope they inspire you too! If you want to send your kids to The Handwork Studio this summer to learn how to wet felt, among many other amazing crafts, don’t worry! The summer isn’t over yet! 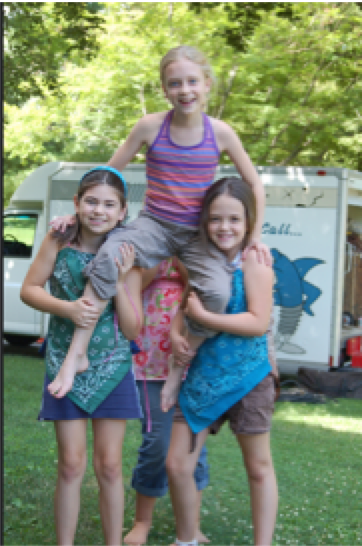 We still offer camps and classes so your kids can have a fantastic experience learning a new, special skill. As always, if you do end up trying a wet felting project, post a picture of your creation on Instagram with the hashtag #SewMoreLove so we can give your art the love it deserves! 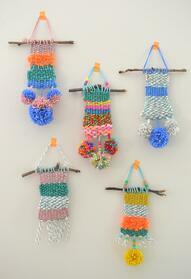 Weaving: A Beautiful, Ancient, Craft That You And Your Kids Can Try This Summer! Not too many activities that we take part in today have been around for thousands of years, but there is evidence that weaving, a craft involving the intertwining of yarn or thread to form fabric, existed in the Paleolithic era. Early humans weaved branches and twigs together to create shelters and baskets, but weaving as we know it was only able to develop with the production of string and thread. 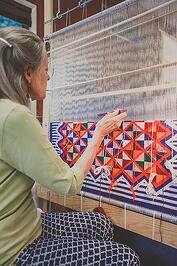 Finger weaving, lacing, and knotting were also early forms of weaving, and are still used today! For a long time people mostly weaved with their hands, but when humans began to settle, looms came into play. A loom is a frame, typically made of wood, meant to improve the weaving process. Horizontal looms that lie flat on the ground were typically used in warmer climates where weavers would sit outside and work, and vertical looms were often used in colder, more temperamental climates and kept inside so the weaver could avoid the harsh weather. People also weaved different materials and fabrics depending on where they lived and what the weather was like and could create anything from linen to silk to cotton to wool. Weaving was a craft mostly kept to the home until the Industrial Revolution in the 1700s, which meant that weavers (who were usually women) took their looms from their houses to factories. In 1733 John Kay invented the flying shuttle, a device that sped up the weaving process significantly and revolutionized the craft, allowing for faster, more efficient production. Then, in the early 1800s, Frenchman Joseph-Marie Jacquard invented the Jacquard Machine, a loom operated by a punch card that allowed for patterns to be created in the weaving automatically. Handweavers were so afraid that Jacquard’s invention would put them out of work that they burned many of his looms! (Sound familiar? Something very similar happened to Frenchman Barthélemy Thimonnier in 1830, not too many years later when he invented a sewing machine!) After the Industrial Revolution, 90% of weaving looms in North America were automated, and the craft was changed forever. There are many different kinds of weaving, but all of them involve the intertwining of warp threads and weft threads. Warp threads are strung over the loom vertically and provide the backbone for the weaving, and the weft threads are woven in and around the warp threads to create the design. In the most common type of weaving, a plain weave, the weft yarn goes alternately over and under the warp yarn and creates a flat surface on which it is easy to print patterns. Basket weaving creates a checkerboard pattern, and twill weaving create a strong, heavy fabric like denim. There are many tools that go into weaving, like a tapestry beater to push down the weft threads, a tapestry needle to pull the weft threads through the warp threads, and shed stick to create a gap to easily pull the weft thread through, but you won’t necessarily need all of them at once. A fork is an excellent substitute for a tapestry beater, and you can even make a homemade loom out of cardboard! When you first start out teaching your kids to weave, it might be useful to string the loom yourself with the warp thread so that it’s all ready to go, and even have your kids practice weaving with paper first - the stakes will be lower, and it will help them get a sense of how the process goes. You can even invite some friends over and make it a party, and set up a “yarn buffet” to make it easier to distribute supplies without chaos. When a kid runs out of yarn, they can return to the buffet! If you’re stuck without any ideas for designs or how to get started on a project, check out this fantastic weaving, complete with branches and pom poms! For some great tutorials on simple weaving projects, check out The Handwork Studio’s videos on straw weaving and hand weaving. And as always, if you want your kids to learn amazing handwork skills with incredible teachers and also make lifelong friends, check out The Handwork Studio’s camps and classes. 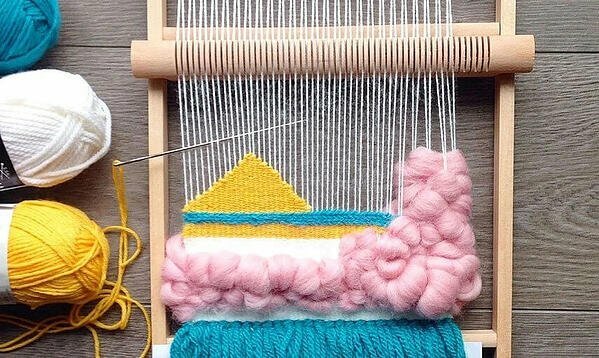 We hope you enjoy weaving, and if you want us to see any of your cool new projects, post a picture on Instagram with the hashtag #SewMoreLove! Best of luck! It is important for everyone to be able to express their creativity in their everyday lives. It gives people the opportunity to disconnect from what is causing stress, whether that is work, school, or their personal lives. 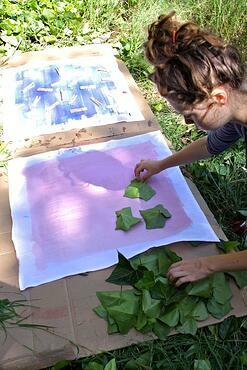 Creative projects are also a great way to save money and increase your confidence. 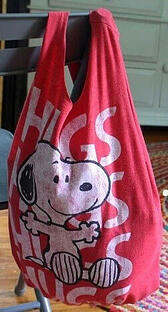 Rather than spending money on clothes or bags, some creative projects allow you to repurpose things or make your own. It can increase your sense of confidence because you are the only person responsible for the success of these creative activities. Check out these 3 ways to get creative every day! Rather than spending your money on your favorite take out, head to the grocery store and pick up the ingredients to make it yourself and put your own unique spin on the recipe! The bright colors of the fruits and vegetables are sure to brighten up your day and the new spices you add to the recipe will make the take out seem boring in comparison. Cooking your own meals is a great way to build up your independence. It will give you more confidence in the kitchen and the ability to survive on your own. Be sure to get creative with the presentation of the meal. Think of yourself as a master chef in a five star restaurant! A great way to de-stress after a long work or school week is to head outdoors and instead of sticking with your usual walking, running, hiking, or biking route, mix it up! Get creative with your workout routines by finding a new trail or trying a different workout. This will allow you to discover new things. Maybe there is a great park or café around the corner that you have never discovered before because you always stick to the same routine. Heading outside for some fresh air has been proven to improve your attention span, happiness, and overall productivity. By getting creative when you are outside, whether that be switching up your usual route or participating in a new activity, you are setting yourself up for success when you head back in to do your work. So really, there is no reason to not get up and go outside! You know those great patchwork jeans you saw in the department store that cost over $100? 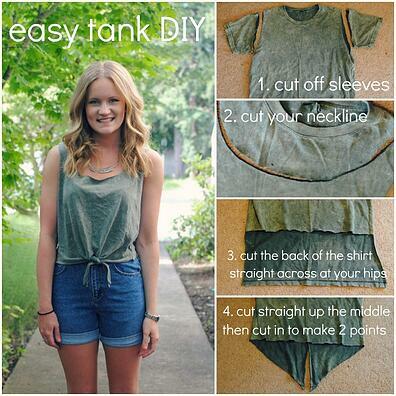 Why not make your own pair using some old jeans. Making your own clothes is a great way to save some money and develop new, life-long skills that you can easily pass onto others. A sewing machine is a great investment- you can even purchase second-hand ones- because you make or fix your own clothes, accessories, and drapery. Curtain panels are an extremely easy project to do on your own rather than buying them. There is nothing easier than sewing a straight line, whether it is by hand or with a sewing machine. An added bonus to making you own clothes or drapery is that you can design it in whatever way you want, using whatever you want. 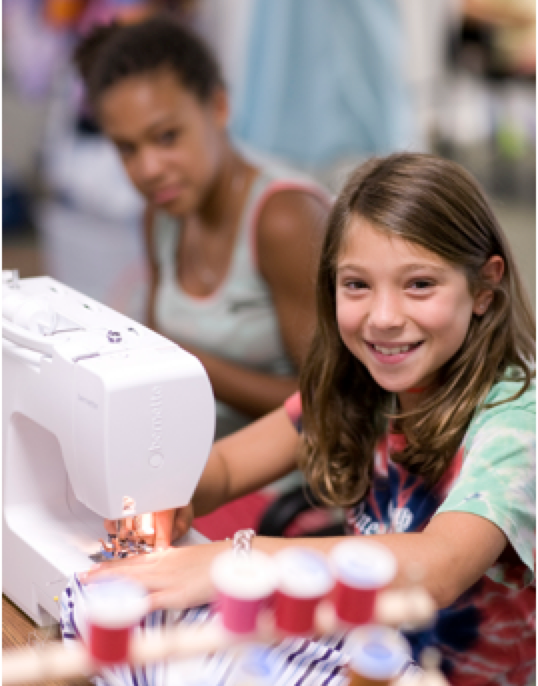 The Handwork Studio is a kid’s needle arts, machine sewing, and fashion camp. The creative counselors will teach you the skills needed to enhance your everyday creativity. This fall, The Handwork Studio is offering their first ever Crafts and Cooking Workshop. 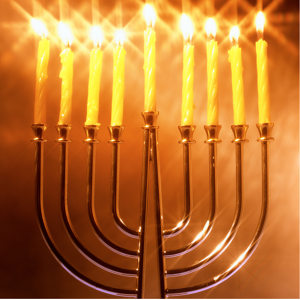 Head to our website or call (610) 660-9600 for more information and to register. 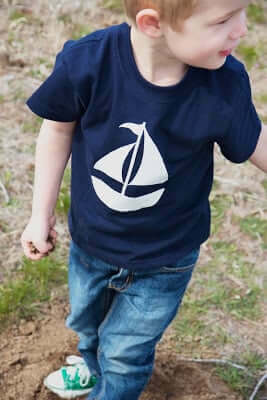 Sewing is an extremely useful skill to have as you grow up. 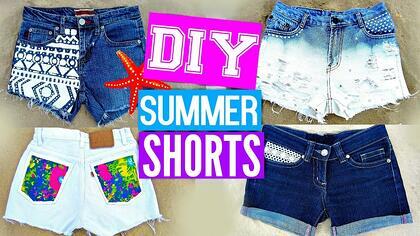 It can help instill independence by giving you the skills to make or fix your own clothes. It can also be a useful technique to diminish stress. The concentration needed for the repetitive nature of sewing will allow you to only focus on the act at hand rather than everything else that is going on in your life. The confidence you gain when you finish a project or learn a new technique will have you feeling refreshed when you get back to work. The repetitive nature of sewing makes it productive activity that will allow you to disconnect from the stresses of your everyday life. Repetitive activities that use fine motor skills have been known to decrease anxiety. While repetition of a movement does not require serious thought, it gives you something to focus on. The continuous motions will keep your mind occupied on sewing rather than on the work that is causing you stress. The concentration needed to keep good technique will force you to shut off your brain and only focus on the task at hand. Especially with sharp tools, such as sewing needles, it is important to stay focused so that you do not get hurt. While you may think multi-tasking is time efficient, it is known to be a leading cause of stress. With sewing, your hands and mind are occupied and it is not possible to do another activity while sewing. This allows you to disconnect from work, school, or personal relationships that might be the cause of your stress. 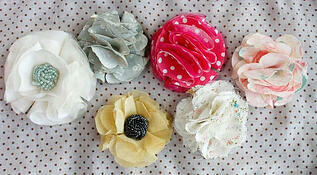 Sewing is a great activity to do whenever you doubt your abilities in work or school. Not only is it a productive way to take a break from other assignments, when you complete your project or learn a new stitch, you will feel more confident. Whether it was a project that has taken you weeks or a small one you did during a one-hour break, the self-esteem boost you get when you complete it will leave you feeling ready to take on new challenges. As you head back to work or school assignments, you can take the confidence gained from sewing and apply it there. 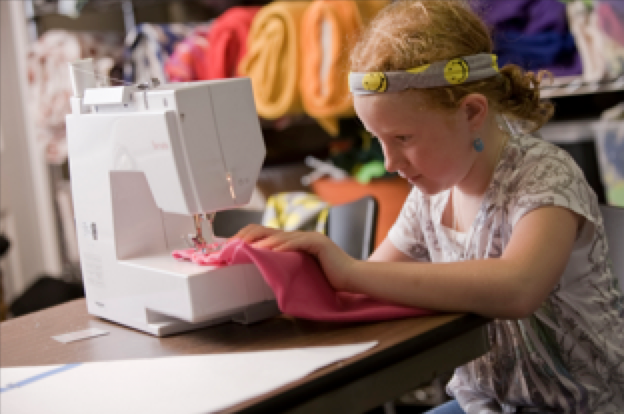 If you think your child could benefit from the stress-reducing aspects of sewing, The Handwork Studio, a kid’s needle arts, machine sewing, and fashion camp, offer classes year-round. 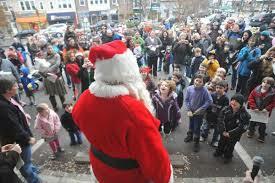 Visit their website or call (610) 660-9600 for more information or to register. Birthday parties are exciting for everyone involved. For the birthday boy or girl, it is their special day when all of their closest family and friends will come together to celebrate them. For those invited, it’s a fun-filled day with friends, family, games, and dessert. To make your birthday party special, here are some unique ideas that will have everyone excited! Cooking is a very important skill to have as an adult. If you teach it in a fun way, such as a cooking-themed birthday party, kids will learn to love it! As the kids begin to arrive, you can set them up at a table with paper chef hats that they are able to decorate with markers or stickers. Once everyone has arrived, you can begin cooking the main meal. An easy thing to make is mini pizza. Give each child a small, rolled out piece of dough and put bowls of pizza sauce, cheese, and various toppings in the middle of the table. As those are cooking, you can set out cupcakes for the kids to decorate with frosting and other treats. Through this party, you’ll save yourself the hassle of buying food for the party, while also teaching the kids a great skill. For a spring or summer baby, a gardening-themed birthday party is a great way to get kids outside and learning a useful skill. You can set them up at a table with a small pot, planting soil, and a variety of different types of flower seeds. Before they start planting the flower seeds, you can have them paint the pots with puffy paint or glue on jewels. This will allow everyone to put their own unique spin on the flower pots and it will make them easy for parents to identify at the end of the party. Be sure to give the party goers instructions on how to plant and take care of their plant but it wouldn’t hurt to give a written copy to the parents as well. To stick with the theme, have worms and dirt for dessert! 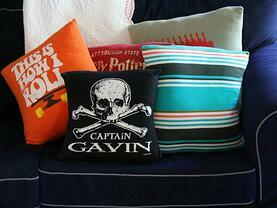 Handwork parties are great for anytime of year because, no matter the season, there is something to make. Whether you’re sewing, knitting, or weaving, the children can practice their handwork skills while also making a fun project with all of their friends! Before getting started, it will be important to talk the kids through the project, especially if they are working with sharp tools like needles. Once they understand the project, give the party goes enough supplies to make their projects unique. They will love seeing how everyone decorated their projects once they are done. A great birthday party handwork project is party hats. 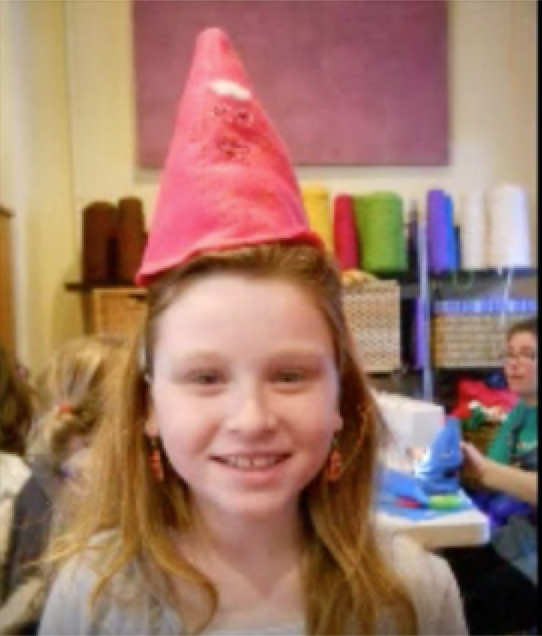 While this video from The Handwork Studio shows party hats for New Year’s, it is also perfect for a birthday celebration! Check out this How-To-Tuesday Video to see how to make it. During the school year, The Handwork Studio offers customizable birthday parties. The birthday boy or girl can choose what project they want to make. These include a tote bag, a glamorize your doll dress, bed pockets, or clothes if they do a Fashion and Machine Sewing party. The Handwork Studio also offers embroidery kits, kumi himo kits, or knitting kits to be purchased as party favors. 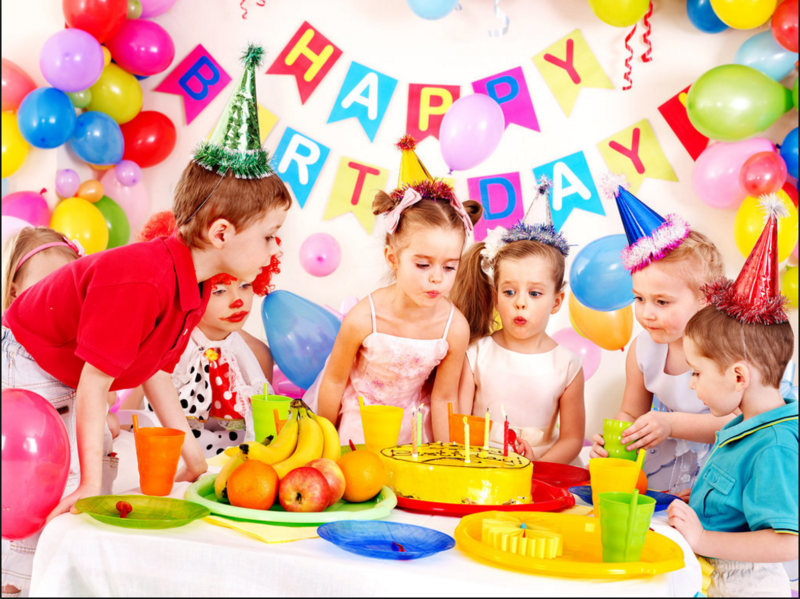 Head to The Handwork Studio’s website to request availability for your child’s birthday party. The start of the school year is always a difficult adjustment. Going back to early mornings, especially as the weather gets colder, and homework is definitely not as fun as all of the cool activities children get to do during the summer. However, with these handwork crafts children will be excited and ready to start the school year! A lot of schools now include book covers on their list of required school supplies. 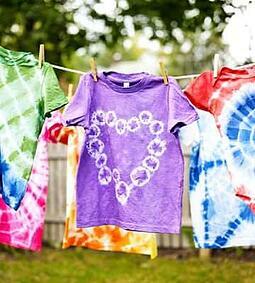 Rather than spending money and buying one, it’s a very easy project for students to make their own! All that is needed is some fabric, a needle, and thread. 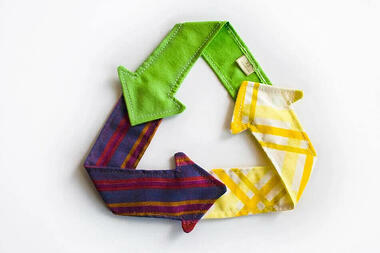 If you are more advanced sewer, you can use a sewing machine instead of a needle and thread. 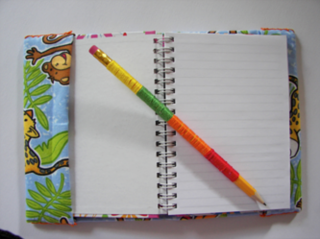 With their notebooks or textbooks, students can open the book and the lay the fabric across it. They then should fold the fabric over to the inside covers of the book so that it looks like a pocket. Now that you have the shape of your book cover figured out, you can remove the book and get ready to sew. With the book cover laying flat on a table, fold the two sides of the shorter inside cover to the outside cover on both sides on the book cover and sew the sides together. Now that it is all sewed together you can put you book in it and are ready for school! This fun and easy project is a great way for students to get excited about the books the get to read during the school year. 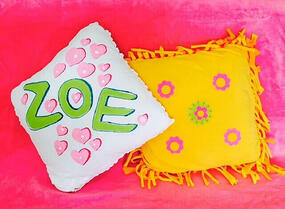 They can have fun with the fabrics they use and show off their handwork skills! With every new school year comes a lot of writing. Whether it is for math homework or history or english essays, students can add some excitement to all the writing they have to do by making these fun pencil toppers! To get started, you will need a pencil, felt, a needle, and thread. Take the felt and cut two pieces of the same shape, like the shamrock below. These two pieces will be sewn together so that they fit over the pencil. To sew them together, you can place the two felt pieces on either side of the pencil and use a pen to mark the width of the pencil inside the felt. 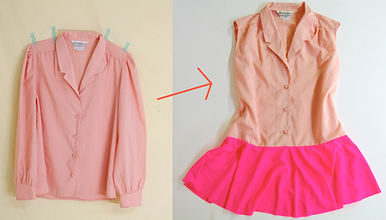 Remove the pencil and sew up one side, across the top, and then down the third side. Be sure to leave an opening at the bottom for the pencil to fit through! These pencil toppers are easy to make for holidays or just for fun! It will definitely add some excitement to your student’s school day! For young students, show and tell is often a highlight of their day; however, finding something new every week for them to bring to school can be difficult. A great way for students to practice their handwork skills while also making their show and tell project is to make a stuffed animal. Students will need two pieces of felt cut into the same shape of their favorite animal, some extra felt or fabric for decorating, a needle, thread, and stuffing. To get started, students can decorate one side of the felt of their stuffed animal. 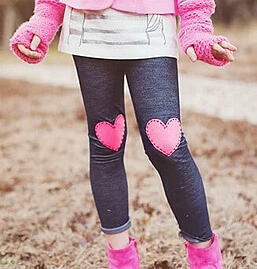 They can do this by sewing other pieces of felt, beads, or fabric directly onto the felt. Once they are happy with the decorations, place the two pieces of felt back to back and use the needle and thread to sew most of it together. Leave a wide enough gap so that they are able to get the stuffing inside the felt. Now that the stuffed animal is nice and fluffy, sew up the last side and now you have your own homemade stuffed animal! While this project will be great for show and tell to show off your handwork skills, it will also be loved a long time after that. 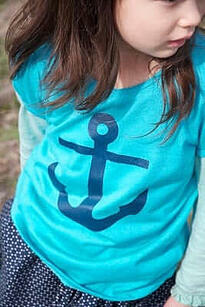 The Handwork Studio is a kid’s needle arts, machine sewing, and fashion camp. In the summer we have 43 locations across 10 states up and down the east coast but we also continue classes, workshops, and birthday parties year round at our Narberth, PA location. 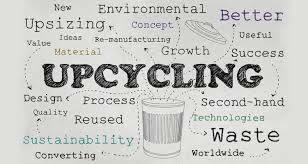 If you think your child would be interested in learning to skills needed to make these projects, there is still time to register for classes starting in the fall. It's no secret that when a snow day arrives for your children there is an inevitable question of, "What can my child do today?" 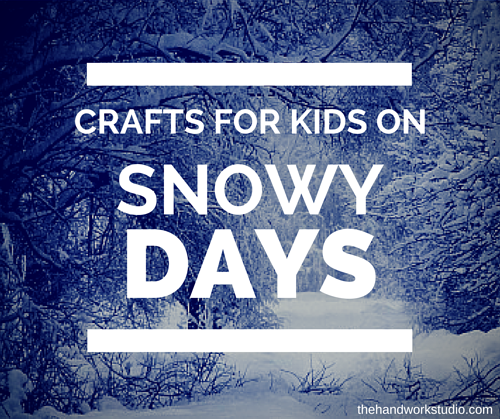 Of course there are the regular answers like go sledding or build an "Olaf" but we're here today to suggest some cool crafts your children can try out at home with just a few supplies you are likely to find around the house. No supplies on hand? Not to fear, story time is hear! Gather your children around your iPad or phone and listen to a tale of The Mitten which is sure to delight! We've pulled some projects from our archives and included the videos for these projects right on this page so you don't have to go far to get crafty with your children! We want to hear from you! What do you do to entertain your children on a snow day? Post below in the comments and we'll pick one winner to send a grab bag of craft supplies to! Please include an email so we can contact you! Thanksgiving Craft Project For Kids! 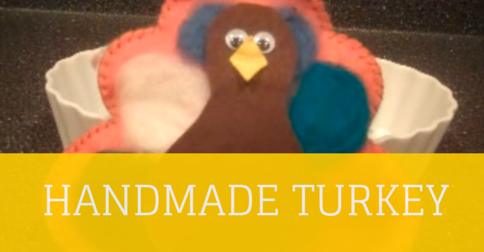 This video will take you through the steps of creating your stuffed Turkey. From our Handwork Studio Family to yours - we wish you a very Happy Thanksgiving.